Print Shop Chico: Stop By For Professional Printing Services! We’d like to thank you for stopping by Local’s Choice Printing. Our print shop is dedicated to providing you with the absolute best design services, professional printing, and lightning-fast turnaround times on printing projects in the Chico, CA area. 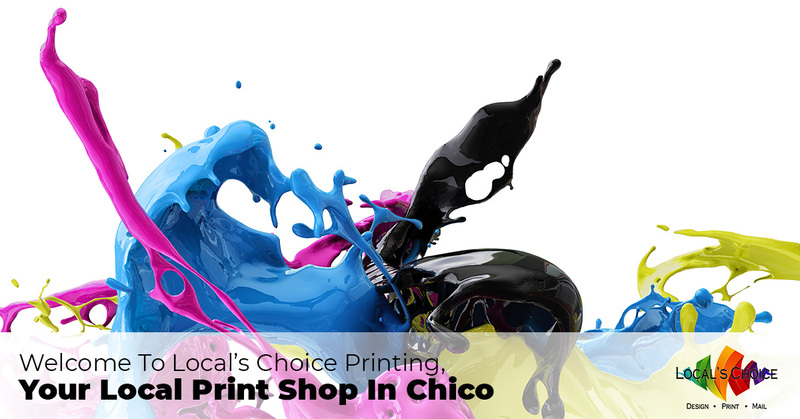 While some print shops might be focused on huge printing projects like books or magazines, Local’s Choice Printing is here to provide services that the residents of Chico need on a daily basis. Let’s take a look at some of the most common professional printing services that we see day in and day out. Even in the days of the internet, flyers and direct mail pieces are still one of the most effective ways of telling people about your business. That’s because direct mail printing gives people a tactile experience as well as a visual one. It also stays in front of them for longer, often ending up on a desk or countertop (while web ads are lost forever with the next click). That means they’ll see it again and again. If you interact with a potential customer, it’s important that you have something to hand them as you part ways. Sure, they might remember the conversation, but they’ll never remember all of the details that you’ve told them. Sending them with a brochure gives them a hard copy of the information you’ve already relayed, whether you’re trying to sell them a home or an experience. We can print custom full-color brochures that will impress your potential customers, and we will do it without charging you an arm and a leg. Business cards are never going away. While so much of business is done online (emails, texts, websites), a good business card is still the perfect means of exchanging initial contact information with a potential customer or business partner. We’ll get into the graphic design services our printing shop offers more in the future, but we’ll just start by saying that graphic design plays a huge role in determining if people are going to interact with your brochure, flyer, or business card. Information “reads” in particular ways, and those change as society does. We’re a graphic design company that can get you conversions on the paper material you put out into the world. 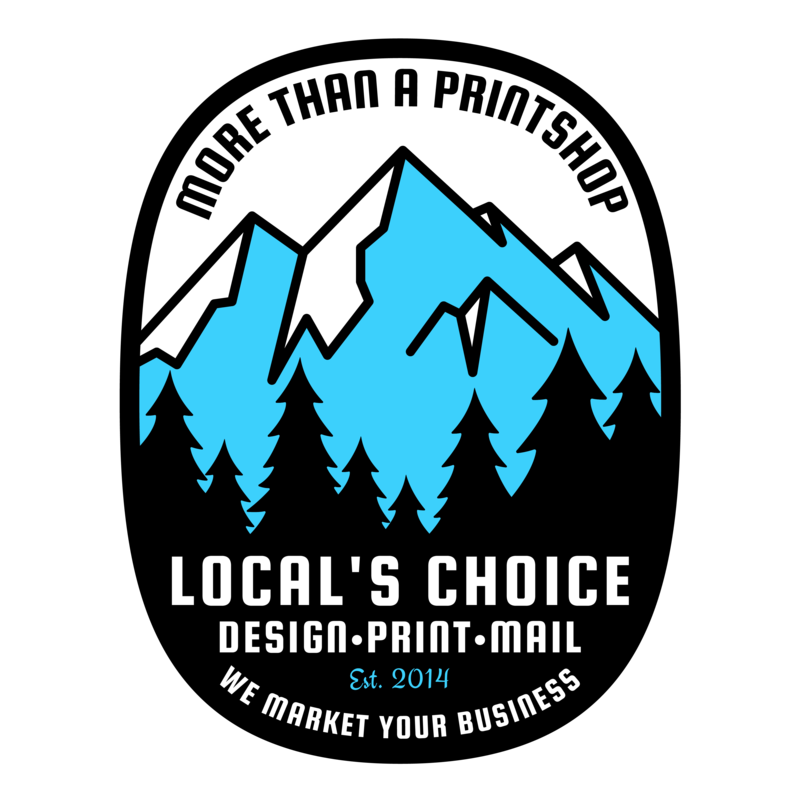 Contact Local’s Choice Printing Today! 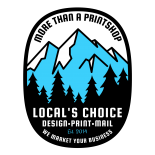 We’re called Local’s Choice Printing for a reason. Business owners from all over Chico come to us again and again for the most professional printing services around. Not only that, but we’re surprisingly affordable as well. Even better, you’ll be amazed at the quality you’ll get from us each and every time…guaranteed! If you’re ready to experience the highest quality you can from a print shop, we’re ready to show you what we can do. Contact us for the best in custom printing!